Concerns have been raised about increasing incidence of endocrine-related human diseases and conditions and the role that endocrine disruptors may play. Crop protection products have sometimes been associated with such diseases, such as cancer and diabetes, and conditions like obesity and reduced sperm count. However, these products are specifically and extensively tested to evaluate their effects on the endocrine systems of humans and wildlife. In fact, current and strong scientific evidence shows that crop protection products are not affiliated with endocrine-disrupting effects at relevant exposure levels. 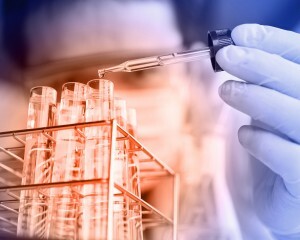 Toxicology – the study of adverse effects of chemicals on living beings – is a well-established scientific field based on the principle that the dose makes the poison. This means that a substance is harmful only when its dose exceeds a living being’s normal repair functions. This is even true for water, which can be lethal if consumed excessively. Physical factors like sunlight and temperature as well as chemicals influence hormonal systems. Chemicals extracted from plants have been used to benefit people if applied at the right doses, but can cause harm at higher doses. Exactly the same principle applies to synthetic chemicals used for a variety of purposes, including cosmetics, personal care products, pharmaceuticals, crop protection products and industrial manufacturing. Human exposure to crop protection products is typically orders of magnitude lower than exposure to common, natural and more potent endocrine-active substances like sugar, caffeine and soy protein. Guidance for determining cause and effect incorporates consideration of consistency of effects across independent studies, specificity of effects, strength of observations and biological plausibility. These principles should be applied in the evaluation of any potential linkage between exposure to endocrine-active substances and resulting disease. Well-conducted epidemiological studies can provide the most direct and relevant information on risk factors for disease in humans. Crop protection products and health have been extensively examined in such studies, with most focusing on farmers and agricultural workers as the group typically most exposed. The weight of this significant body of scientific literature does not show that crop protection products are associated with human disease, including endocrine-related cancers, as shown in a European Food Safety Authority-supported publication. In fact, the most consistent finding across the largest epidemiological studies on farmers and agricultural workers (including crop protection product applicators) is that this group is healthier than the general population.,,, Overall, these agricultural workers have lower mortality rates and incidences of most cancer types. Therefore, crop protection product exposure does not appear to be a cause of endocrine-related diseases. Multiple factors account for increases in endocrine-related diseases or conditions independent of endocrine-active substances, such as lifestyle, diet, body weight and changes in diagnostic criteria. However, for most of the endocrine-related human diseases frequently discussed, causes are simply not known. Several possible risk factors have been identified, including genetics, age and maternal age. For example, in the U.S. Institute of Medicine’s 2012 review of the science regarding environmental risk factors for breast cancer, those with the clearest evidence include hormone therapy products, oral contraceptives, being overweight or obese, alcohol consumption and ionizing radiation; the evidence for exposure to chemicals was considered limited. Current crop protection product regulation ensures high levels of protection for human health and the environment. The crop protection industry follows very stringent product development criteria, whereby thousands of chemicals are analysed and those with potential negative side effects are screened out from the very beginning. Products are then thoroughly tested according to local regulatory requirements and international standards. If they are safe for intended uses, they are delivered to the market responsibly. Public policy-making should be based on a balanced, transparent and systematic assessment of relevant scientific evidence, not on a single study or report. Policymakers must look across all applicable evidence considering the strengths and weaknesses of each study, consistency (or absence of it) between findings, reproducibility and any outstanding areas of controversy. All of this information should be weighed before coming to an informed policy decision to protect human health. Leveque-Morlais N, Tual S, Clin B, Adjemian A, Baldi I Lebailly P. 2014. The AGRIculture and CANcer (AGRICAN) cohort study: enrollment and causes of death for the 2005–2009 period. Int Arch Occ Env Hea. (2015) 88:61-73. Koutros S, Alavanja MC, Lubin JH, Sandler DP, Hoppin JA, Lynch CF, Knott C, Blair A, Freeman LE. 2010. An update of cancer incidence in the Agricultural Health Study. J Occup Environ Med. 52(11):1098-105. Waggoner JK, Kullman GJ, Henneberger PK, Umbach DM, Blair A, Alavanja MC, Kamel F, Lynch CF, Knott C, London SJ et al. 2011. Mortality in the Agricultural Health Study, 1993-2007. Am J Epidemiol. 173:71-83. Frost G, T. Brown T, Harding AH. 2011. Mortality and cancer incidence among British agricultural pesticide users. Occup Med (Lond). 61(5):303-10. Lamb JC, Boffetta P, Warren FG, Goodman JE, Hentz KL, Rhomberg LR, Staveley J, Swaen G, Van Der Kraak G, Williams AL. 2014. Critical Comments on the WHO-UNEP State of the Science of Endocrine Disrupting Chemicals – 2012. Regul Toxicol Pharmacol. 69(1):22-40.